Is quantum computing really here? Yes, it is, according to Google. In May 2013 Google announced a partnership with the National Aeronautics and Space Administration (NASA) and the Universities Space Research Association (USRA) to launch the Quantum Artificial Intelligence Lab, which is hosted at NASA’s Ames Research Center in Mountain View, California. 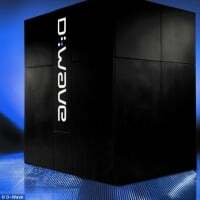 There, the organizations are to conduct collaborative research using a 512-qubit D-Wave Two quantum computer from D-Wave Systems. Of course, this is a quantum computer, so it’s not for everyday business applications or for checking email. It’s for use on truly challenging projects—finding black holes, protecting the planet from asteroids, artificial intelligence, machine learning, time travel, understanding climate change, eliminating diseases—or finding out the answer to the ultimate question: Are we alone in the universe? There have been no announcements so far about earth-shattering new discoveries originating from the lab, but Google recently posted the video below with both a behind-the-scenes look at the endeavor and an overview of the concept of quantum computing itself. Optimization problems are extremely difficult problems. For example, you want to take an extended trip through South America and visit a number of cities. You probably want to know things like “What is the cheapest ticket I can get to visit, say twenty cities?” Ultimately, there are numerous options that must be factored in: different routes, different airlines, weather, aisle seats, leg room, window seats, standby, coach or first class, upgrades, different flight times, and blackout dates to name a few. As the video says, we generate vast amounts of data, but it’s often difficult to generate useful insights from that data. Want to learn more? The Google Quantum A.I. Lab Team website has research papers, Google Plus posts, and videos from the Quantum A.I. Lab speaker series.